Our branch of Moldova - market research territorial unit of international MRP-EURASIA and provides a full cycle of market research services in this country. We have a detailed understanding of specific sectors, their policy challenges and research needs. 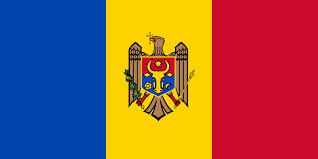 We're a team of research and evaluation experts based in Moldova representative office. Efficient combination of corporative standards and decision-making autonomy on the internal local management level. To collect and report directly from a broad range of consumers on their behaviors, perceptions, needs, market research attitudes and opinions. Projects range from simple "habits and attitudes" questionnaires to complex in-home product testing studies. Along with the fact that MRP-EURASIA serves a variety of Market research in Europe and Asia (including the FSU and CEE regions), our company has its own regional market research branch in Moldova. Therefore, MRP-EURASIA, in fact, is a Market research provider of Moldova, that enables us to support a variety of formats relationships with our clients across the industry Market research services in Moldova and consumer studies in Moldova. Sociological survey " Measurement of migration attitudes of Russian compatriots in Moldova and other countries of the former USSR"